Lytham St. Annes and the Fylde Coast. We are pleased to be currently ranked in the top 10 Car Body Repair centres in the UK according to Free Index. At St Annes. 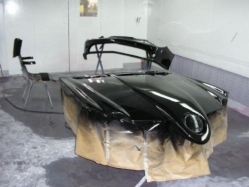 Body Work Centre all of our vehicle repairs and re sprays are finished to an incredibly high standard and carried out by experienced, skilled and qualified technicians. 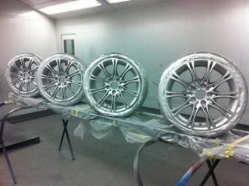 We pride ourselves in the high quality of our work and can assure you that through our car body repair work your vehicle will be repaired to a like new standard. We provide our services to both consumers and businesses throughout Blackpool, Lytham St. Annes and the Fylde Coast. 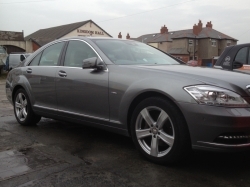 At St Annes Bodywork Centre we undertake repairs to all makes and models of vehicles and our aim is to repair your vehicle to a like new standard. We can accommodate all your car body repair needs including minor dents, bumper scuffs, key scratches, wheel arch repair, stone chips, vandal damage, panel replacement, full resprays, major accident damage, insurance repairs, alloy wheel refurbishment and much more. Click here to view our gallery of work. Our reputation is built on our excellent customer service and importantly our quality of our work (to see reviews from our previous customers click on the testimonials page). 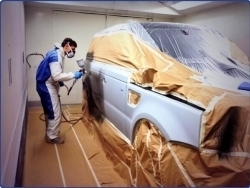 All of our car body work is guaranteed and is carried out on site in our fully equipped workshop using the latest repair and paint technology in our spray bake oven. 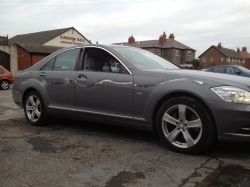 We can ensure you get the best quality of repairs possible to your vehicle. St Annes Bodywork Centre are proud to offer free estimates with competitive pricing and there is no appointment required. If your car is in an unroadworthy condition we can come to you and provide you with a competitive estimate for getting it back on the road. If you've had an accident that wasn't your fault call us before your insurer as we can undertake all aspects of the claim including; same day like for like courtesy car (including prestige vehicle), recovery and storage of your vehicle, repairing the damage caused as well as personal injury claims. With no excess to pay and your no claims bonus protected we aim to offer a service giving you peace of mind whilst we undertake the car body work required. We can also advise you of the most economical route to getting your vehicle repaired including providing you with insurance estimates if you require. 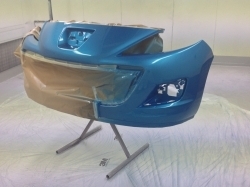 If you would like to know more about our services or discuss your car body repair work in more details then please contact us either by phone or via our contact us page.